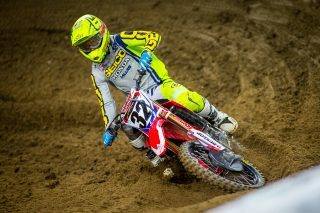 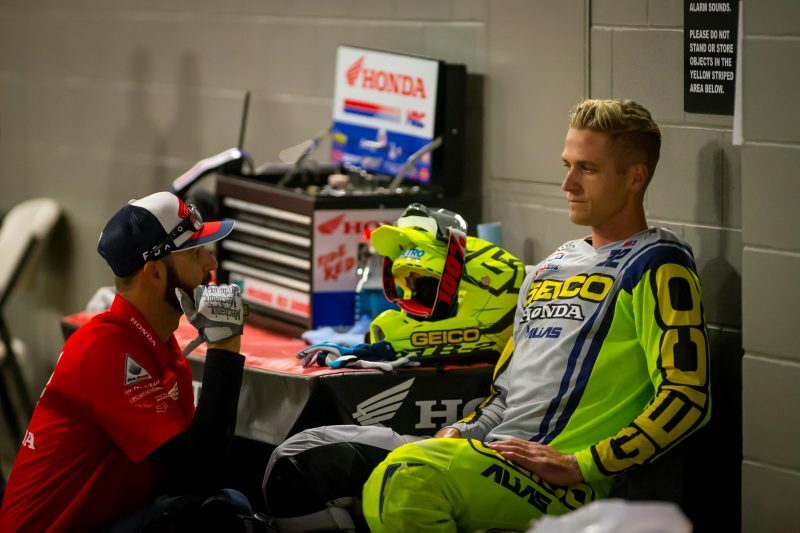 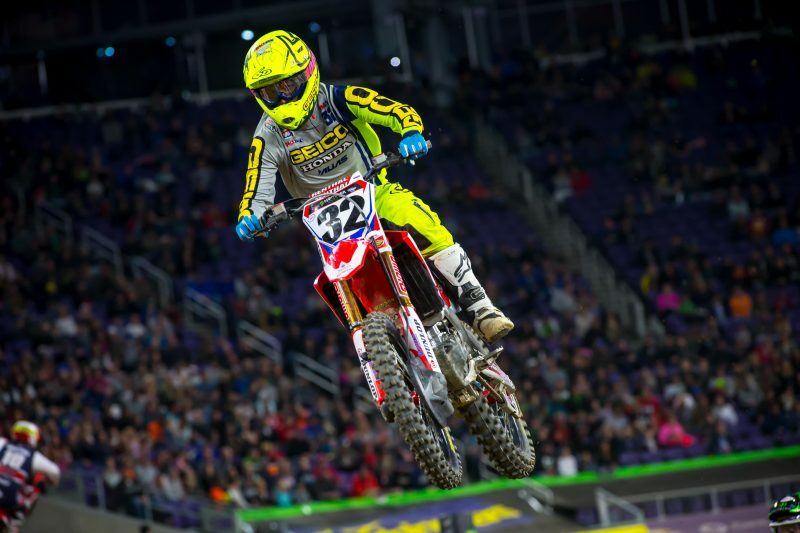 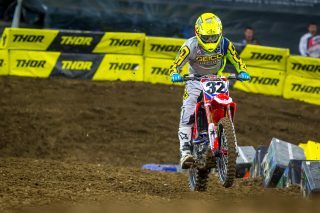 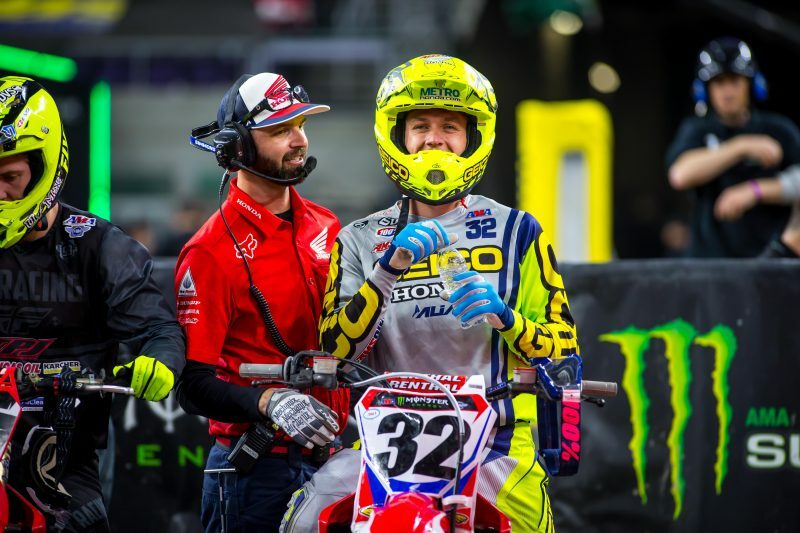 Round 14 of the AMA Supercross series at U.S. Bank Stadium in Minneapolis played host to the season’s third and final Triple Crown event, where Team Honda HRC’s Christian Craig overcame falls in the first two races to secure ninth overall with 14-10-7 results. 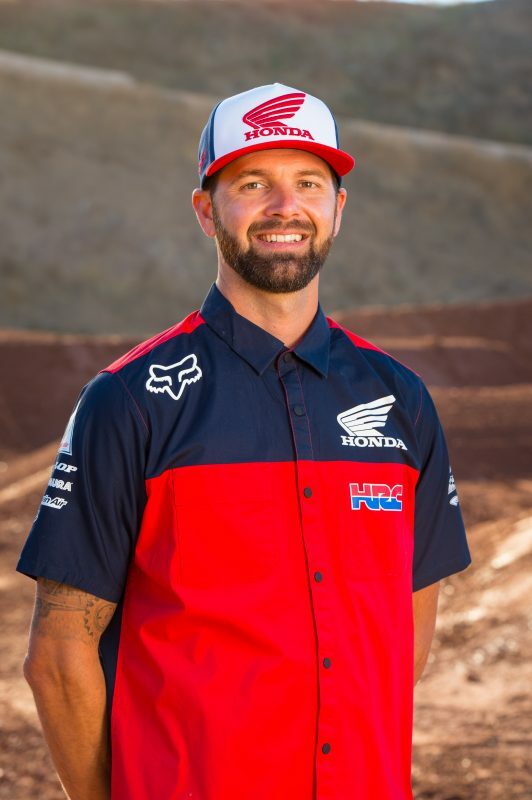 Smartop/Bullfrog Spas/MotoConcepts Honda’s Justin Brayton was the top Red Rider in the premier 450SX division, finishing just shy of the podium in fourth, with a 4-2-5 tally. 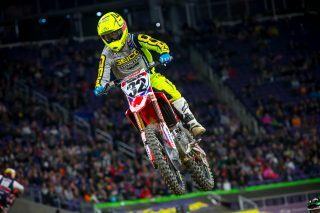 During the daytime qualifying practice, Christian Craig was the top Red Rider in the 450SX class, scoring the fourth-fastest time with a 49.262” lap. 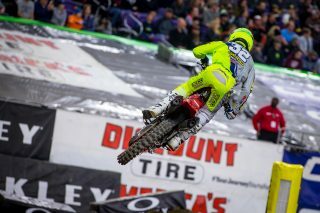 Only .1 seconds off of Craig’s time, Justin Brayton was eighth overall with a 49.362” time. Team Honda HRC was pleased to host Repsol Honda’s Marc Marquez and his crew at the Minneapolis Supercross. 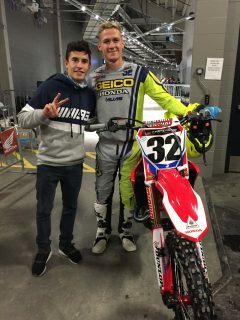 The four-time and reigning MotoGP champion was in the U.S. early for this coming weekend’s Grand Prix of the Americas, to be held in Austin, Texas. 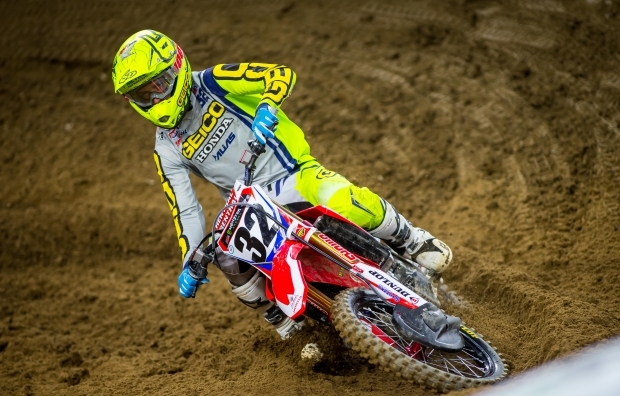 The Spaniard is a huge supercross fan and frequently rides a CRF450R during his off-season. 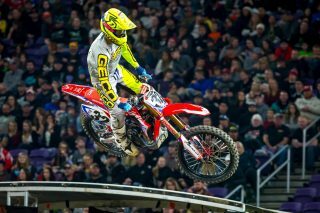 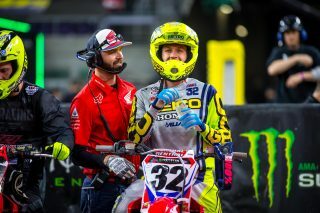 After scoring his first victory of the season at the previous 250SX East race in Indianapolis, GEICO Honda’s Jeremy Martin was eager to return to action in front of his home crowd. The Minnesota native didn’t disappoint, starting the day off with the second-fastest qualifying time of 49.090”. 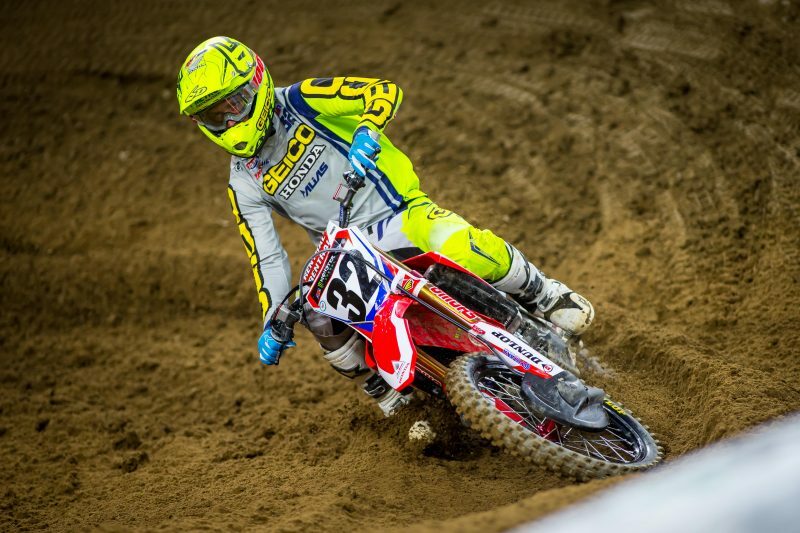 Throughout the three races, Martin continued to charge aboard his CRF250R, finishing 3-3-1 to capture his second victory of the year. 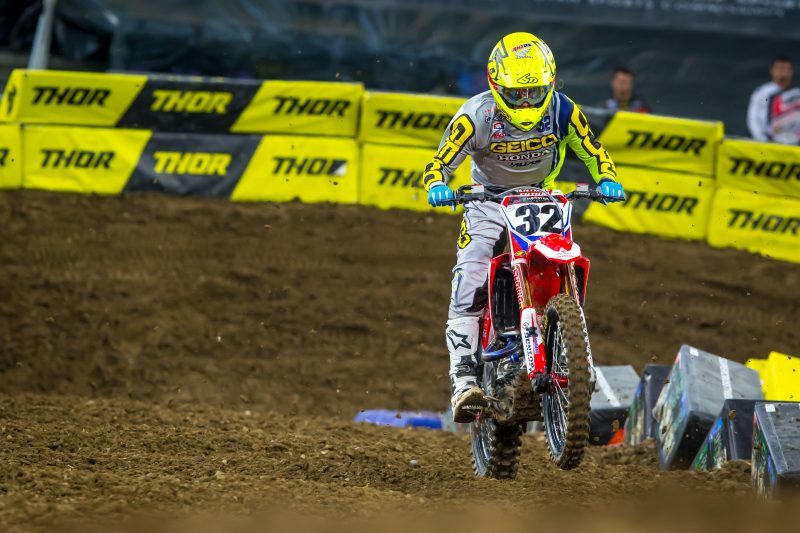 Following a one-year hiatus from Gillette Stadium, the AMA Supercross series returns to Foxborough, Massachusetts, this Saturday, April 21. 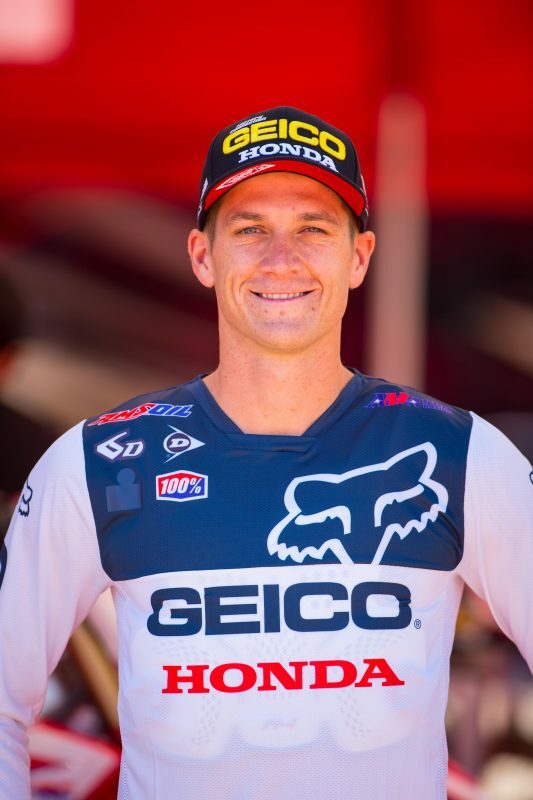 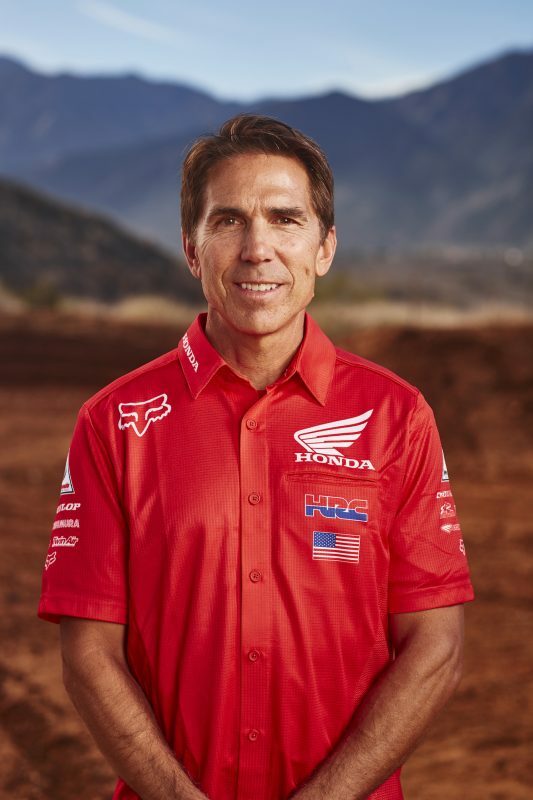 Prior to all the action, Craig, Martin, Brayton, and Vince Friese will make an appearance at Bettencourt’s Honda starting at 6 p.m.